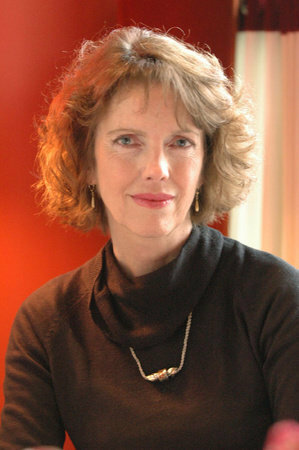 Jane Urquhart was born in the north ( in Little Longlac, Ontario), and grew up in Northumberland County and Toronto. She is the author of seven internationally acclaimed novels: The Whirlpool, which received Le prix du meilleur livre étranger (Best Foreign Book Award) in France; Changing Heaven; Away, winner of the Trillium Award and a finalist for the prestigious International IMPAC Dublin Literary Award; The Underpainter, winner of the Governor General’s Award, a finalist for the Rogers Communications Writers’ Trust Fiction Prize, and long-listed for the Orange Prize in Britain; The Stone Carvers, which was a finalist for The Giller Prize and the Governor General’s Award, and longlisted for the Booker Prize; A Map of Glass, a finalist for a Commonwealth Writers’ Prize for Best Book, and, most recently, Sanctuary Line. She is also the author of a collection of short fiction, Storm Glass, and four books of poetry, I Am Walking in the Garden of His Imaginary Palace, False Shuffles, The Little Flowers of Madame de Montespan, and Some Other Garden. Her work has been translated into numerous foreign languages. Urquhart has received the Marian Engel Award and the Harboufront Festival Prize, and is a Chevalier dans l’Ordre des Arts et des Lettres in France. She was named the Banff Distinguished Writer, and was named an Officer of the Order of Canada in 2005. 2007 she edited and published “The Penguin Book of Canadian Short Stories,” and in 2009 she published a biography of Lucy Maud Montgomery as part of Penguin’s “Extraordinary Canadians” series. Jane Urquhart lives in Northumberland County Ontario, Canada, and occasionally in Ireland.